Mortal Kombat Clans: Everything You Need to Know | Nerd Much? Mortal Kombat is considered by many to be one of (if not THE) best fighting franchises in gaming history. However, a major issue people have with the franchise is their lack of knowledge regarding it, especially when it comes to the various Mortal Kombat Clans. This is why we felt it would be a good idea to bring up all of the Mortal Kombat Clans and explain them each as exhaustively as humanly possible. Every Clan involves a number of major Mortal Kombat characters. On top of this, each Faction or Clan has its own set of enemies and top rivals. Clearly, Mortal Kombat Clans are misunderstood. This is why we wanted to go in-depth on every major version. Before we get started on that, we need to make one thing VERY clear: there are two major universes within Mortal Kombat, both with their own timelines and character versions. This means what happens in one universe or what might be the case in one, will not always translate to the other. The two universes are the “Midway Universe” and “NetherRealm Universe.” Midway was, of course, the video game company that started the Mortal Kombat series. It was invented by two of their main players, artist John Tobias and Programmer Ed Boon. They spent 7 major game titles creating their universe. Midway then sold the Mortal Kombat title, with Warner Bros. buying it up and creating their own video game company to house this called NetherRealm Studios. Ed Boon even stayed on with the series to make sure his work remained perfectly used. Warner Bros. used its NetherRealm name from Mortal Kombat, as you can tell. While Warner Bros. went with the mainline universe for a bit, they reset the universe in Mortal Kombat 9. This is where the new games are formed, like Mortal Kombat X and the upcoming Mortal Kombat 11. 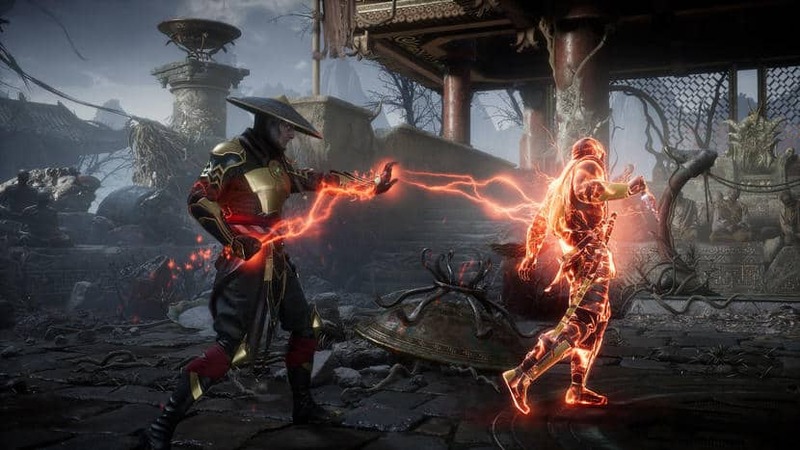 In our article, we will be going over both but mostly focus on the main, active universe for NetherRealm. That said, we hope you enjoy this informative article on the Mortal Kombat Clans. We thought we’d start with the easiest few first, then get into the more complicated Mortal Kombat Clans later. We recommend you pay close attention to each as every version can be complicated. However, the Special Forces faction is likely the easiest to understand. When Mortal Kombat began for a number of the games and especially for the movies, they added a Special Forces unit. 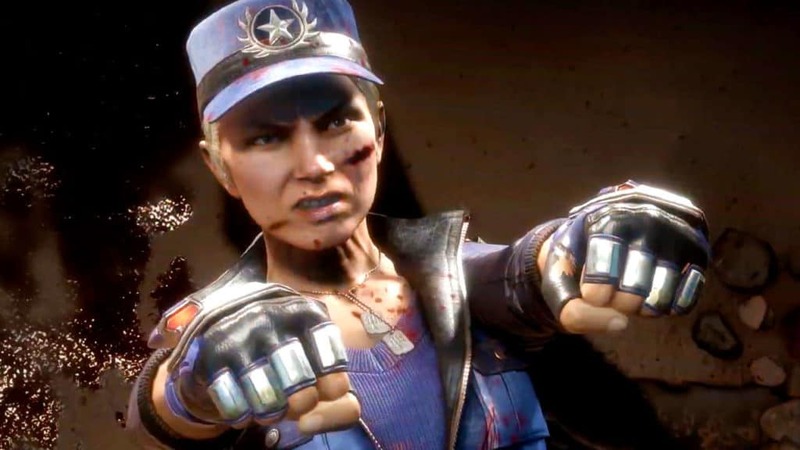 This unit was originally comprised of mostly Sonya Blade and her partner Jaxon Briggs(Jax). It would then involve Kurtis Stryker and partially converted Black Dragon, Kabal. Johnny Cage would also join the group, though his original affiliation kept him from being connected to the Special Forces group beforehand. The unit then added the children of the original partners respectively. This being Cassie Cage and Jacqui Briggs. This same unit also invited Kenshi aboard the team later on, despite his original faction also being different like Johnny Cage before him. This is the same for Cyrax, who joined the team later on with Smoke. The main enemies of this group are the Red Dragon and Black Dragon factions respectively. This is likely due to the main members of each faction. Kano happened to be one of the top members of the Black Dragons and has been an enemy of Blade’s since Mortal Kombat began. Meanwhile, top MK villain Daegan heads up the Red Dragons. He’s a Demi-God and Half-Edenian(keep this in mind for later) and quite a tough out. His last run in the games happened in a cameo for Mortal Kombat X, but he’ll likely continue to be seen. Thus, the Special Forces will be after him. Since both Dragon groups reside mostly in EarthRealm, they are in the Special Forces jurisdiction. Most Mortal Kombat Clans do not exactly get along, but it seems that the Special Forces crew does with most. At least top members in every major group outside the Dragons. The Brotherhood of Shadow has never been known as a top faction in Mortal Kombat, but main members of it have been significant. The leader of this group is Quan Chi. He resides in NetherRealm and worships the ground Shinnok walks on. He is joined by D’Vorah and Noob Saibot, as well as lesser MK characters like Reiko, Kia, and Jataaka. His main allies are mostly on the evil side, with the Shinnok being prime among them. The group also aligns with Shao Khan, Tanya, and the Army of Darkness. However, most of the other main factions hate these guys. Quan Chi does hold one thing that he pulls out of his pocket a great deal, he can use the bodies of dead characters as warriors of his own. Through the last few MK games, we’ve seen several join this list like Kitana, Liu Kang, Baraka, Stryker, Smoke, and many more. However, the most notable is the warrior known as Scorpion. 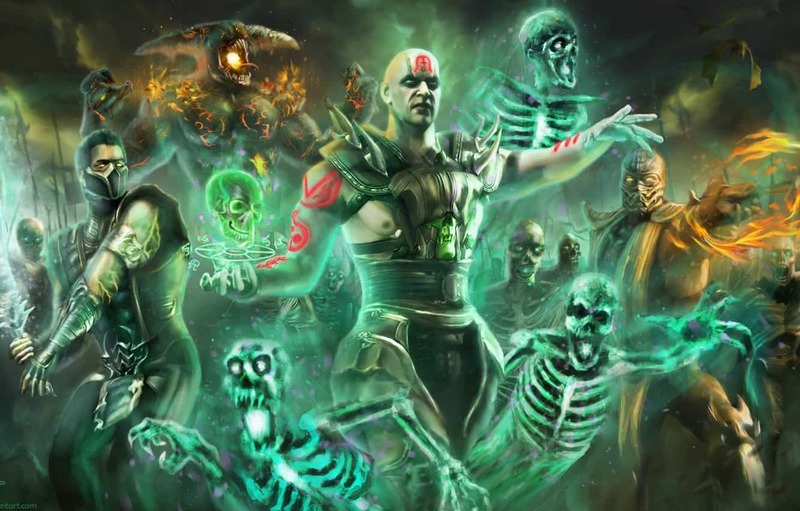 Quan Chi uses these warriors of other Mortal Kombat Clans against their former members. Very few have escaped the clutches of Quan Chi’s grasp once they were killed. However, Scorpion managed to do so. Quan Chi lied to Scorpion, a then dead man, about who killed him and his family. Scorpion would later kill the man claimed to have done this, Sub-Zero. Quan Chi then used that warrior for himself too, with Scorpion remaining in his clutches. It took some time for Scorpion to escape Quan Chi’s control. However, once he managed to do this he would eventually kill him during the events of Mortal Kombat X. This led to the group technically disbanding. The Mortal Kombat Clans most known tend to always include the Elder Gods. The list of people involved in this faction is pretty notable. Possibly the most popular in the group is Raiden, the God of Thunder. 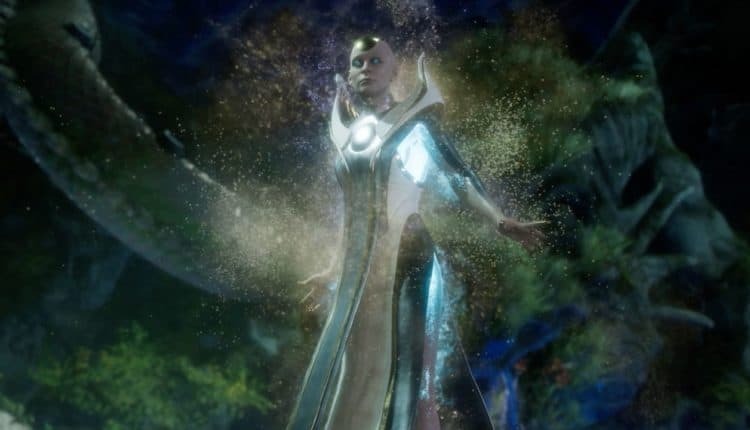 It also notably includes Shinnok as well as Argus. Argus would have three sons, one of them being Taven who would become the Protector of Edenia. His brother is named Daegan and both have the ability to control fire. The Elder Gods are most known for setting up the Mortal Kombat Tournament. The idea is that if NetherRealm can win 10 tournaments in a row, they are allowed to take over EarthRealm. This led to Raiden going to Earth to find warriors who could win and prevent the streak from continuing. Liu Kang is the most notable to do this. However, The Great Kung Lao was the last EarthRealmer to have ever won the tournament before Liu Kang did so. Interestingly, the descendant of the Great Kung Lao happened to also be a major member of Mortal Kombat. 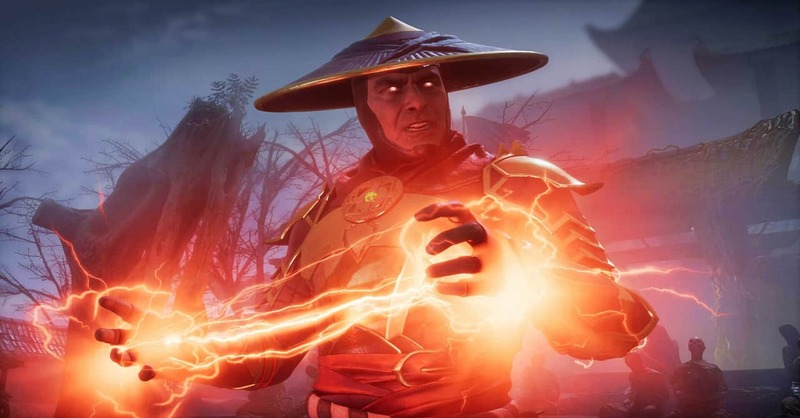 In fact, his name is also Kung Lao and he was set to represent the Shaolin and EarthRealm in Mortal Kombat. His declining of the opportunity led to Liu Kang serving this role. However, all of this changed when at the start of Mortal Kombat 9, we see everyone dead. Seriously, they ALL die. Raiden is the last one remaining, so as a God he managed to warn his past self about the future. He had to then change the events of the past to avoid the future from occurring the way it did. This led to Raiden realizing he had to win the tournament himself instead of Liu Kang. 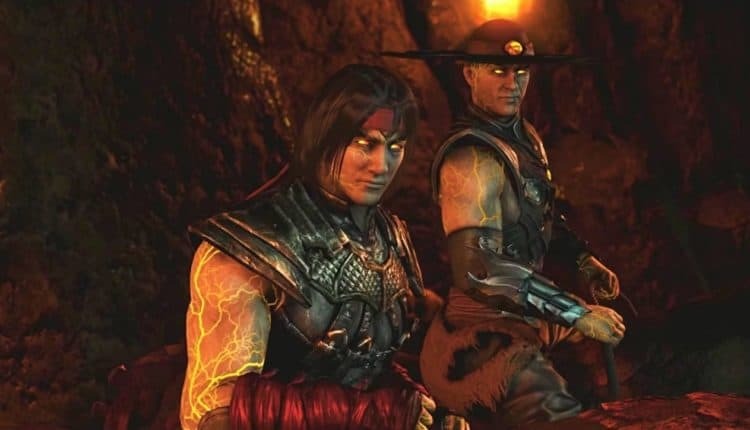 During the events of Mortal Kombat 9, we see Kung Lao killed right off. This caused Kang to get a bit upset at the news, and vow to win. Raiden tries to tell Liu about how the future will be and that he has to win, as a result, Kang believes he is lying and in his attempt to stop him, Raiden accidentally kills Liu Kang. This is how Quan Chi managed to take control of Liu Kang, for one. While the events of this game led to some of the same things as the last, it changed everything else. All caused by Raiden’s future self, warning his past self. Seriously. This is what set up the time for Shinnok to try and take control during the events of Mortal Kombat X several years later. Shinnok would become such a threat to EarthRealm that Raiden decided to make sure he never could be again. He’d cut off Shinnok’s head and present to the new rulers of OutWorld, Liu Kang and Kitana. He’d do so to set a warning that he’d personally take care of anyone who tried to harm or take over EarthRealm. With Princess Kitana being the rightful ruler after Melina and the Khans were removed from power, she and Kang took over. Due to what happened to them with Quan Chi, they are no longer the good people they once were. Their minds are perverted and with Quan Chi dead, they cannot be brought back to who they once were. Raiden tried to avoid this, but Scorpion’s decision to kill Quan Chi stopped all of this. Now bringing them back as well as the other dead warriors seem to be impossible. This is why they mostly reside in Outworld. The Elder Gods once had to create a balance between good and evil, but with the evil Shinnok now beheaded, he cannot serve this role. Raiden’s once good intentions are also now perverted as he is willing to kill anyone, without his usual diplomacy. As a result, he is now the evil Shinnok once was. The White Lotus Society often gets along with the good Mortal Kombat Clans. It was mostly in play before the present day. However, before the latest turn of events, this actually included some big names. Raiden was a major member of this group for one. In fact, the Shaolin Monks were part of it themselves. The other members of the group were Kung Lao, Kai, and Liu Kang. Another member of the team is the God known as Fujin. He served a critical role for the White Lotus Society for a long time. Most Mortal Kombat clans got along with them due to them being on the side of good. This led to them being good with the Special Forces group originally. They would later get along with other Mortal Kombat Clans that would be notably involved as slight enemies beforehand. With the universe change, the White Lotus Society isn’t much to look at. Fujin remains alive just like Raiden, but it is likely he follows the Thunder God into the land of evil. Of course, Liu Kang and Kung Lao are both technically dead and the monks aren’t much on their own. So the faction is pretty much done right now. Though it is possible it exists in his original form later on. The only saving grace for the group currently is a man by the name of Kung Jin. He was part of the Shaolin for quite some time but left because he assumed the monks would not allow him to stay. Jin happens to be gay, which is frowned upon in many Mortal Kombat Clans and thought to be with the Shaolin. A meeting with Raiden helped him feel it was right to go back to the White Lotus Society and Shaolin alike. Interestingly, he’s the cousin of Kung Loa and thought to be a future Mortal Kombat warrior for the Shaolin. Likely the most popular of the Mortal Kombat Clans is clearly the Lin Kuei. This is likely due to the fact that some of the most prominent ninja style characters came out of it. In fact, the most notable versions are beloved today. 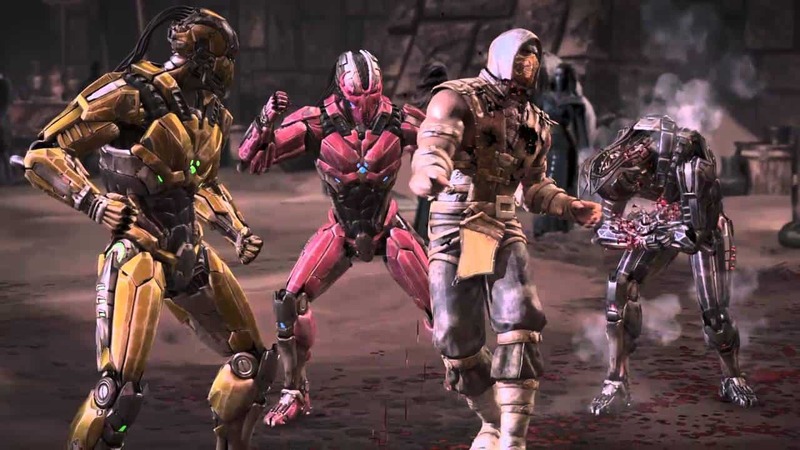 The characters most known are Sub-Zero (both versions), Frost, Smoke, Cyrax, Sektor, and Sareena. Some of these characters were evil, to begin with, but would later turn good. However, this was not the case for every version of the Lin Kuei. They were mostly known as assassins who would steal anything asked of them. However, this was not their way after some time. Only a few had powers, with just three being able to have freeze abilities. Brothers Bi-Han and Kuai Liang would both use the codename of Sub-Zero. Bi-Han was by no means a good man, however, he was framed for the death of Scorpion’s family. This is why they have classically been enemies in the series. It also one of the few things about Mortal Kombat that did not change with the universe switch. Due to Quan Chi tricking Scorpion, Bi-Han would die at the hands of Scorpion in brutal fashion. When he found out that he made a mistake, he refused to ever hurt his brother Kuai Liang. In fact, he’d protect him at times. During the events of Mortal Kombat X, Kuai Liang had become the new Lin Kuei Grandmaster and made amends with Scorpion. He did find that his clan did hurt people of Scorpion’s clan years ago. He apologized for it and the two have been “cool” ever since. See what we did there? Most like to ask about what led to the clan changing its ways. It was actually an understandable reason. During the first Mortal Kombat Tournaments, both Bi-Han and Kuai Liang were sent to assassinate Shang Tsung. The two would enter in hopes of getting close to him and taking him out at that point. Shang managed to escape Bi-Han due to positioning him against his enemy Scorpion in the tournament. By the time his brother got into the tournament, Liu Kang had killed Shang Tsung. Though the movie and games differ on how things went down, the clear situation between both was that Kuai Liang didn’t succeed in his attempts to kill Shang. Due to these failures, the Grandmaster decided to change things. That opened up the Cyber Initiative. The Grandmaster felt this would be the best way to solve their problems. It would end the human error, with their consciousness being taken from man to machine. Not only would they technically be immortal from this so long as they didn’t get killed by a rival, but they’d also become more efficient. The Grandmaster’s son Sektor would be the first to cyberize, but the rest of the main members of the Lin Kuei protested the move. 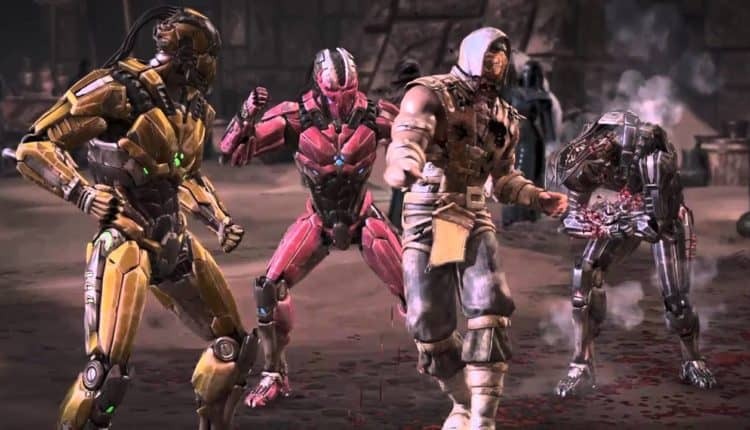 Cyrax was great friends with Sektor, yet could not follow his friend in this mission. He was not alone as Smoke and the Kuai Liang Sub-Zero also protested this decision. 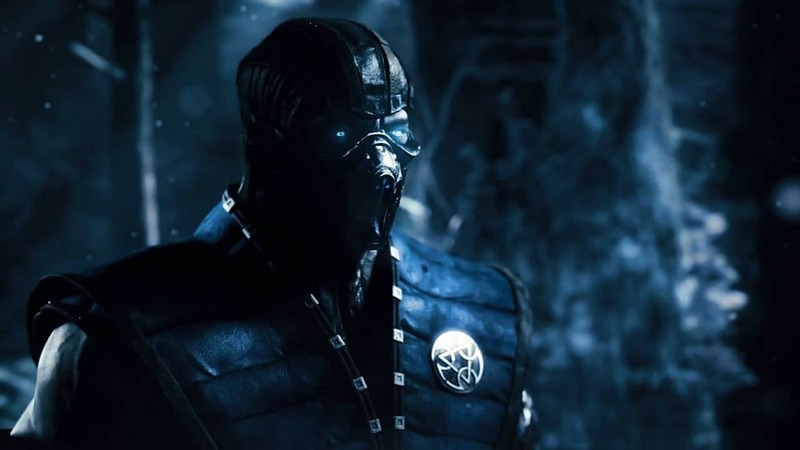 Sektor then kills his father and assumes control of the Lin Kuei, forcing ALL the clan members to cyberize. Cyrax and Smoke denounced their membership as part of the Lin Kuei, which rarely happened in the clan. The only way out was via a coffin in the ground, if ya know what we mean. Cyrax eventually was caught as well as Smoke. Both would be cyberized. Eventually, Sub-Zero was caught and he too was transformed. He’d become Cyber Sub-Zero and would be killed then resurrected as a human by Quan Chi. The control put on him by Quan Chi would be removed, allowing him to be himself once again. He’d then kill Sektor, allowing him to take control of the Lin Kuei. Smoke managed to also be resurrected as a human but wasn’t able to escape Quan Chi’s control before he was killed. He’s human again, but now evil. Sadly Cyrax never was killed to be resurrected human, thus he has remained a cyborg ever since. Today he is on the side of good when he used to be on the side of evil. Most Mortal Kombat Clans known about tend to start with the Lin Kuei, but most sure as heck knows of the Shirai Ryu. Even if they don’t know the name, they clearly know their most famous member, Scorpion. 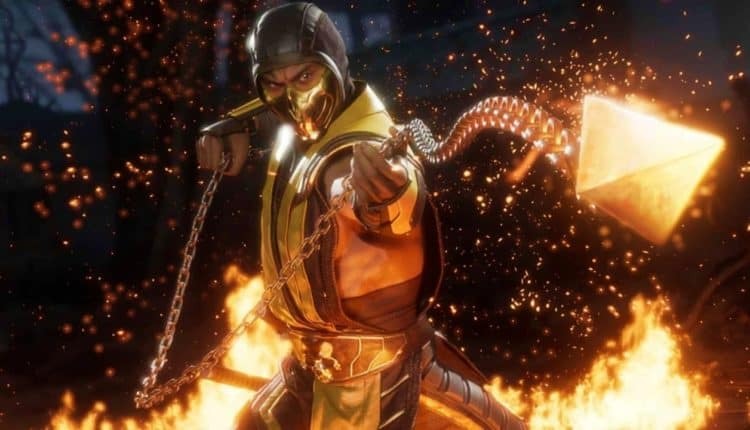 Of course, Scorpion is one of the most notable video game characters of all-time. Unlike Sub-Zero, the Scorpion codename has only been held by one man, Hanzo Hasashi. While Scorpion has assumed leadership of the clan since he escaped Quan Chi’s control, he did not start the group. It was actually started by a former Lin Kuei member by the name of Takeda. He’d start the Shirai Ryu as a direct opposition to the Lin Kuei. The thought was that the Lin Kuei did not do things right, so Takeda’s concept was to do it better. Though in attempting this, he’d have to leave the group and managed to stay alive. He managed to do so for a long time, surviving dozens of assassination attempts by his former brothers in the Lin Kuei. Due to the connection, the two clans have remained rivals ever since. It should not come as a shock, of course, that there would be an issue between the two most notable members in Scorpion and Sub-Zero. The idea was that it was a lie that made Scorpion do as he did. 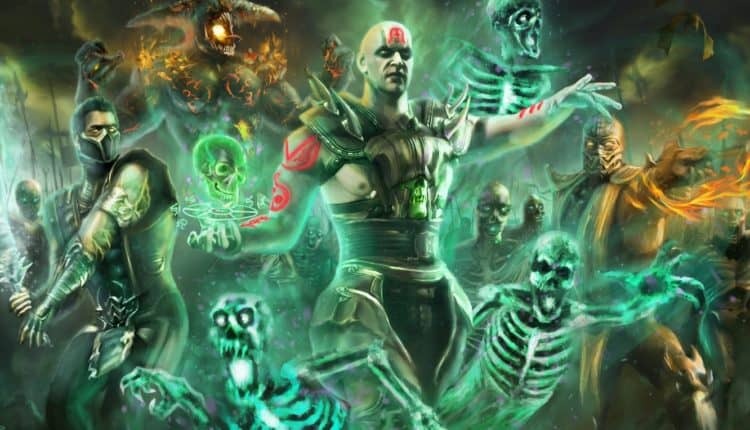 Quan Chi clearly made it all up, right? That isn’t exactly true. In fact, the Lin Kuei wiping out the Shirai Ryu along with Scorpion was actually true. It’s just that it did not go as Quan Chi claimed it did. During the events of Mortal Kombat X, the new Grandmaster of the Lin Kuei is now Kuai Liang. This came with a lot of advantages, like looking back into the records of the original Grandmaster. Apparently, he made a deal with Shinnok and Quan Chi to have the Lin Kuei attack and murder the entire Shirai Ryu clan. The way it happened in the canon universe was that both Sub-Zero(Bi-Han) and Scorpion were picked by their respective clan to find and retrieve the Map of Elements. It was apparently supposed to lead to Shinnok’s amulet. Quan Chi hired Lin Kuei’s Sub-Zero first and then Scorpion in the attempt that Sub-Zero failed. However, neither knew of the other’s involvement. This led to the two ending up in the same place and needing to fight each other to get the Map tasked to them. 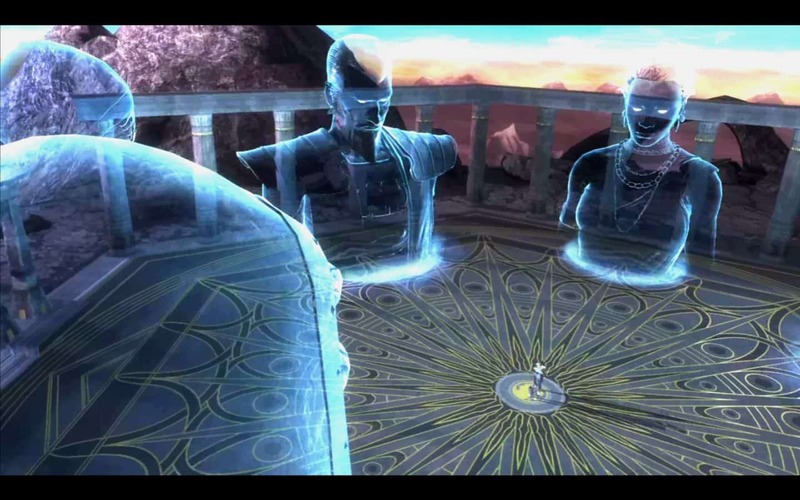 Neither knew of Quan Chi’s involvement in this, only that their clan was tasked with a mission. Sub-Zero would defeat and kill Scorpion. As a reward for his work, Quan Chi wiped out the Shirai Ryu. Not knowing of Quan Chi’s plan to release Shinnok, Bi-Han rushed to prevent Quan Chi from releasing the Elder God. It was here that Scorpion caught up with the rival who killed him beforehand. Hanzo had returned from death, now only going by his codename. He was used by Quan Chi as an asset to keep him safe as well as do his bidding. Scorpion once again failed to kill Bi-Han. Although, he would later kill Bi-Han in the Mortal Kombat Tournament. He too would be resurrected from death, but he would not return as Sub-Zero nor use any ice powers. Rather, he became the mysterious Noob Saibot. Upon the revelation that lies led the entire mission for Scorpion, he did try to protect the younger Sub-Zero. Once Kuai Liang realized that everything was set-up by Quan Chi and that the Grandmaster wanted the Necromancer to wipe out the Shirai Ryu as payment…Liang invited Hanzo over for tea. It was here that he revealed what he had learned. Though Frost tried to kill Scorpion, Sub-Zero froze her literally in her tracks to prevent the two from clashing. He and Hanzo sat back down to try and bring a partnership between the two rival clans. This is where we are today with both sides. There is a lot to be said about the Royal Families as well as those who serve them when we bring up Mortal Kombat Clans. Whether those people that serve them are their friends or people they convert, they are pretty important. For example, take a look at a few of the obvious people. Prince Goro happened to be one of the most popular in the series. He comes from a race of people called the Shokan. They reside in Outworld with a lot of freaks and weirdos. He is often referred to as Prince Goro in movies, comics, and video games. However, his Princehood is not what its all cracked up to be. Due to Shao Kahn ruling over his people, he might be Prince of the Shokan, but this title is pretty much meaningless. Prince Goro happens to be a Grand Champion in the Mortal Kombat tournament. He remained undefeated for 500 years, allowing Shang Tsung to secure the tournament win for Shao Khan. Shao Kahn sort of fought his way into royalty. He is often claimed to be the son of Shinnok and brother of Raiden. Though in most of the video games, he shares no relation to Raiden. He’s mostly known for being a Conquerer in the Mortal Kombat series, an later on a ruler. He managed to get into the royal world when he conquered the land of Edenia. He took on their Queen, Sindel as well as her daughter and the Princess of this area, Kitana. He’s commonly known for using warriors to help him out like Ermac, Baraka, and Motaro. Though Baraka keeps coming back, Motaro was killed and hasn’t returned since. However, Shang Tsung was his most loyal assistant. With the help of his underling Shang Tsung, he’d have a daughter. She was created by Tsung using magic in his flesh pits. The way she was made was by using a portion of DNA from Kitana as well as Tarkatan physiology. This is the race of people that Baraka comes from, in case you didn’t know. This is why Khan’s daughter Mileena turned out to look so freaking ugly in her face. As she resembles Baraka there. Yet she looks a lot like Kitana with the same build and frame beyond this. Due to her species and mystical magic from Tsung, she is evil. She served as an assassin for Kahn and was joined by her adopted or half-sister Kitana, as well as her friend Jade. Later on, Kitana and Jade would turn against Kahn with Mileena being the only female assassin that remained for him. When Khan was killed, Mileena has attempted ever since to get the thrown she feels is rightfully hers as the daughter of Shao Kahn. However, there were a lot of people who wanted to rule. Especially with Edenia being the prized kingdom that it is. Yet another managed to get the thrown before her, Kotal Khan. Funny enough, Kotal Khan is not related to Shao Kahn. This is a bit confusing, because the same sounds alike, but it’s true. 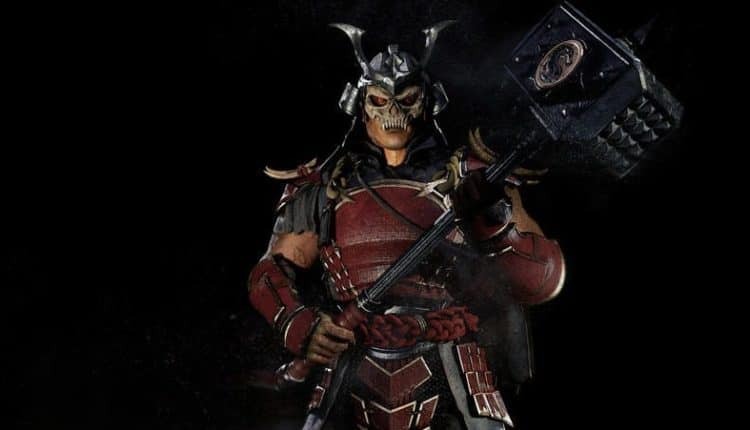 Shao Kahn managed to sort of conquer everything in the various realms, with Outworld being his home. This is where his throne and kingdom managed to stay even after his death. Khan has had to fight off a lot of issues since taking over. The soul taker of Ermac, at one point thought to be a ninja character the likes of the Lin Kuei, works with him. Reptile, another with a background in ninjitsu, saw a character change over time like Ermac. 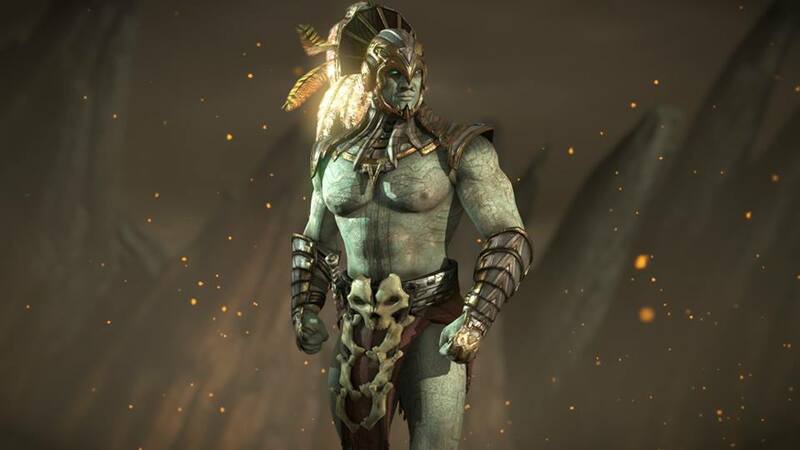 However, he has worked with both Kotal Khan and Mileena. He comes from a species known as the Saurian, a race of people who look like various reptile species from Earth. Since he was trained to be a slave to the now deceased Shao Kahn and Shang Tsung, his decisions are free for him to make. This is why he works like a snake and tries to go with whatever side is winning. Others that have worked with winning sides are people like Kano and Erron Black. 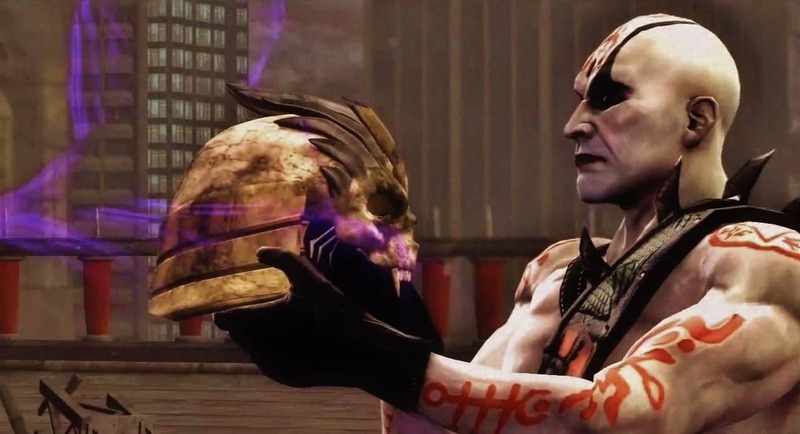 During the events of Mortal Kombat X, Quan Chi released Shinnok, allowing him to assume rulership despite being an Elder God. Though he is not possible to kill, he is currently headless and never assumed power. With Kotal Khan and Mileena out of commission, Liu Kang and Kitana, brought back from the dead by Quan Chi, currently rule Outworld. However, another is hot in their trail and will likely do his damndest to get the throne for himself. His name? Rain. Rain changes up drastically depending on the universe we’re in. However, both have him find out that he has God-like blood in him, as he’s related to Argus. In fact, this God happens to be Rain’s father. Combine this with his Edenian heritage, and Rain happens to be both a Prince of Edenia and Demi-God. It is theorized that Rain will continue to hunt for the throne, despite being mostly a one-man army. He decided to help Mileena with a plan to betray her when they won. However, her issues got in the way and Rain’s plan was prevented. 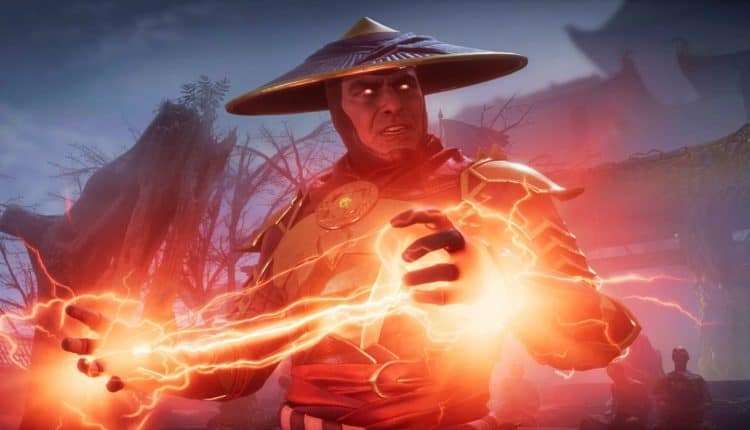 It is widely assumed he will be one of the main players in Mortal Kombat 11 with a storyline revolving around him attempting to get the throne in Outworld. Liu Kang and Kitana may currently head up Outworld, but this may not be for long. Rain has connections from various other entities and this could be an interesting development going forward. Mortal Kombat Clans tend to side with the best that fits their specific needs. 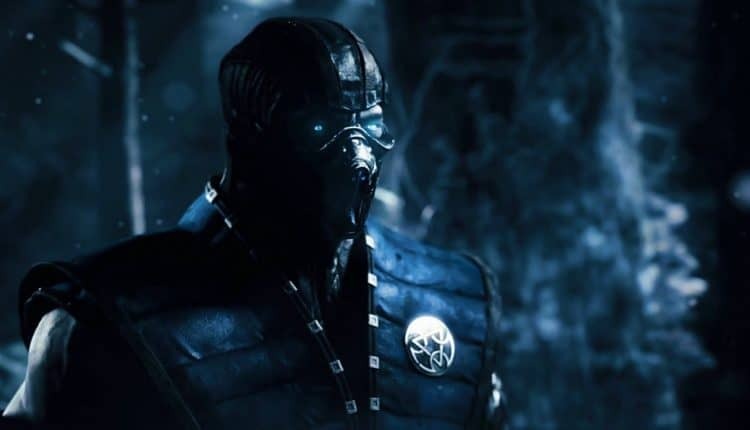 Rain might be better than Kang and Kitana, so Mortal Kombat Clans like the Lin Kuei and Special Forces may help him get the throne just to help themselves. A number of Mortal Kombat Clans have seen people come and go. Others have merely been affiliated to various factions over the years. Some of the most popular are people like Nightwolf, who aided several Mortal Kombat Clans in Outworld as well as EarthRealm. Bo’ Rai Cho also happens to be a critical character who helped to train a number of fighters. He is most known for the Drunken Fist fighting style and has been charged with protecting various areas for Raiden. Mortal Kombat Clans of all kind see Cho as a legitimate threat. However, newer pupils to them make the mistake of not doing so at their own expense. Converted Black Dragon Kabal has been a favorite among many, and his affiliation with Mortal Kombat Clans is numerous. Though he left the Black Dragons, he struggled to escape their attempts to kill him for a while. He’d manage to take up arms with the Special Forces who were hunting the Black and Red Dragons respectively. With Kabal’s help, they managed to take down a great number of Black Dragon members. Sadly, he was killed and resurrected by Quan Chi and now happens to be on the side of evil once again. Kintaro, another Shokan like Goro, has been a major player with many Mortal Kombat Clans trying to recruit him at one point. However, he was said to have been vaporized by Raiden. Sheeva, yet another from the same race, managed to do some damage alongside Shao Khan. She, of course, lost in this battle with Khan and is last seen defeated by Kabal. However, loyal Khan followers made her fear for her life as well as her people. She asks Raiden for help, and he forgives her for her role in the situation. He relocates her and the entire Shokan to Australia on EarthRealm, where they have remained ever since. 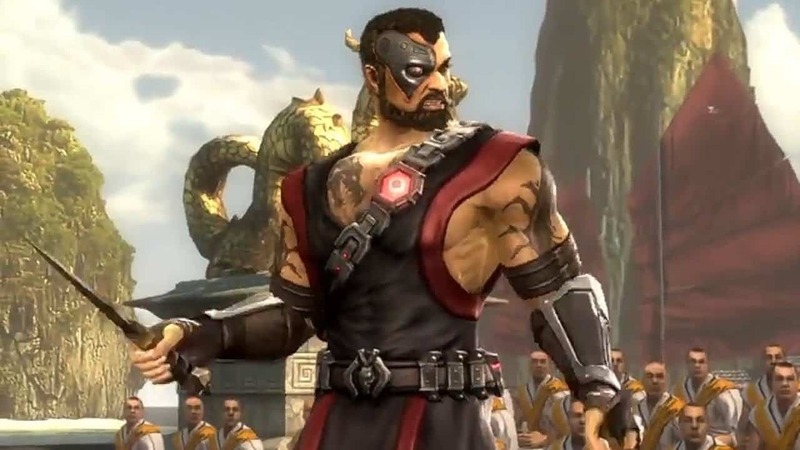 Tremor, a member of the Black Dragons, has also been a threat in the universe alongside Kano(their leader). He is a ninja similar to the likes of Sub-Zero and Scorpion but has Earth-bending powers. Tanya has also been affiliated to various Mortal Kombat Clans, most on the evil side. She can be seen with the likes of Shao Khan, Mileena, Shang Tsung, and many others. Though she is not the best assistant in the world, she is threatening and one heck of a deadly assassin. Sareena happens to be another threatening assassin in the universe. She has been connected to a few Mortal Kombat Clans. One was on the evil side as a servant of Quan Chi and the Brotherhood of Shadows. She then reformed and joined Sub-Zero with the newly led Lin Keui faction. Another popular character is Kensi, a blind warrior who uses a sword with the souls of his royal ancestors inside of it. Though blind, he is able to see through his powers. He has incredibly heightened senses, and due to this, he is capable of feeling the energy from people around him. He’s also telekinetic. 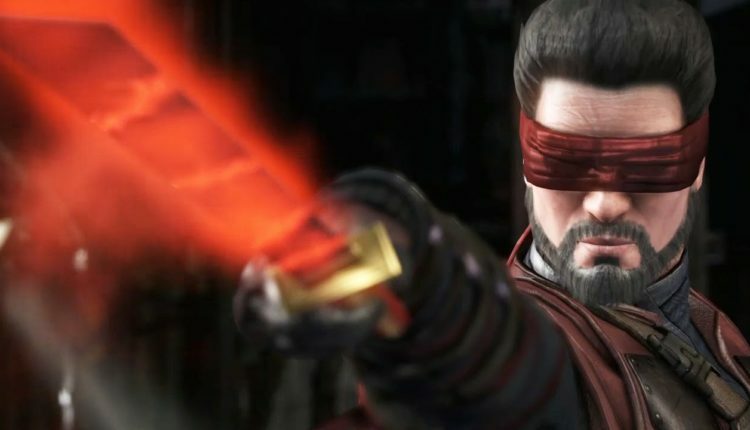 This allows Kenshi to fight well because he can quite literally “feel” an opponent coming a mile away. He happens to be close to a few Mortal Kombat Clans, with the biggest being the Shirai Ryu. The reason? They saved he and his son from death by the Red Dragons. The Red Dragons were also responsible for the death of his son’s mother, Suchin. She was Kenshi’s former lover, but the two never officially got together. This led her to not tell him of his son. When he found out from Sonya Blade that the Red Dragons were threatening her life as well as the son he never knew he had, he tracked them down. Sadly he was too late, Suchin was dead. He was able to get his son Takeda away and the two ran for safety. They’d make it into the Shirai Ryu territory where Scorpion and the rest of the Shirai Ryu helped Kenshi and his son by forcing the Red Dragons to retreat. Due to this, he went hunting for Suchin’s killer, Deagan. This forced him to leave his son Takeda with the Shirai Ryu, whom he felt he could trust due to Scorpion running it. They’d take him on as a pupil within the Shirai Ryu while Kenshi was gone. During his time away, Takeda learned how to fight and learned of his powers. 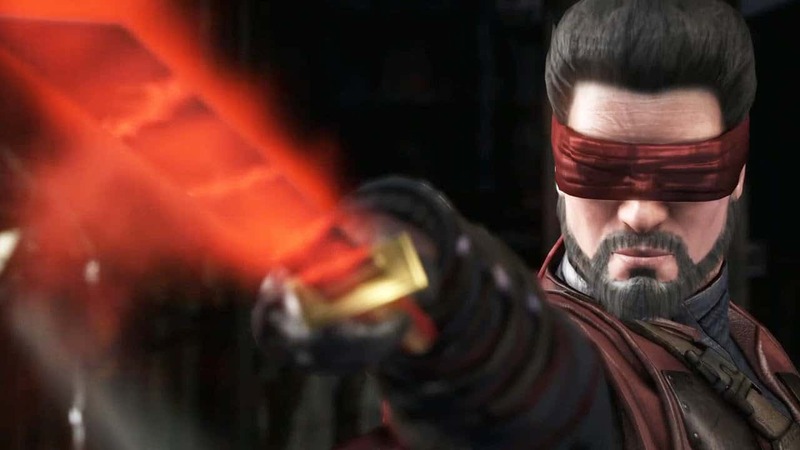 Meanwhile, Kenshi worked alongside Mortal Kombat Clans like the Special Forces and Lin Keui. After Deagan’s defeat, Kenshi returned to try and have a life with his son. However, Takeda never truly knew his father and has had issues with the attempts at closeness. 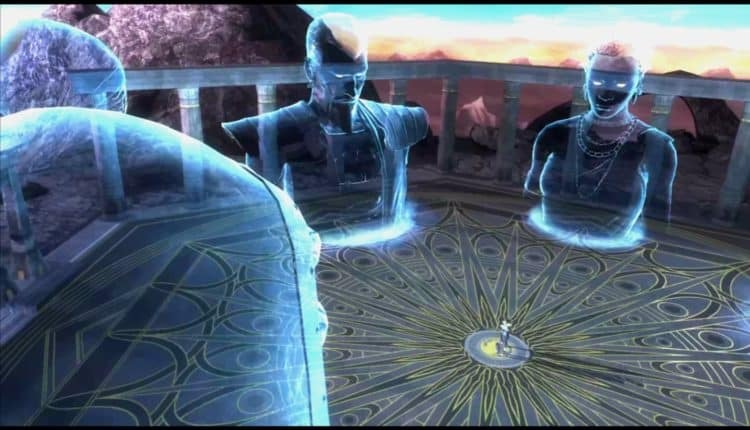 Of course, the Elder Gods happen to have a major role in the Mortal Kombat universe. All Mortal Kombat Clans are affected by their decisions. Raiden is not technically evil but not technically good either in this new world. He feels that he has to be the balance to the world Shinnok no longer can do. However, Raiden’s new brutal policy leads to an issue with Kronika. She is the Keeper of Time and Architect of the Destiny of the Universe. Her goal is to rewrite the timeline due to the balance being needed that Raiden’s decisions altered. Kronika can manipulate time and space and will be the main force to deal with for the heroes and even villains in this current timeline. It appears she has some sway over things even more than the Elder Gods, meaning Raiden cannot stop her alone. However, she also has some help to accomplish her mission. She finds this in her powerful servant known as Geras. Like Kronika, he has major power that is influenced by time. He mostly has the power to manipulate the sands, but that’s not all. Geras is also capable of stopping the flow of time. On top of this, he can also teleport, rewind time, and even replay his previous actions. Due to his manipulation of time, he has some form of immortality as a result. However, he is not actually incapable of dying. His powers simply make him hard to kill.